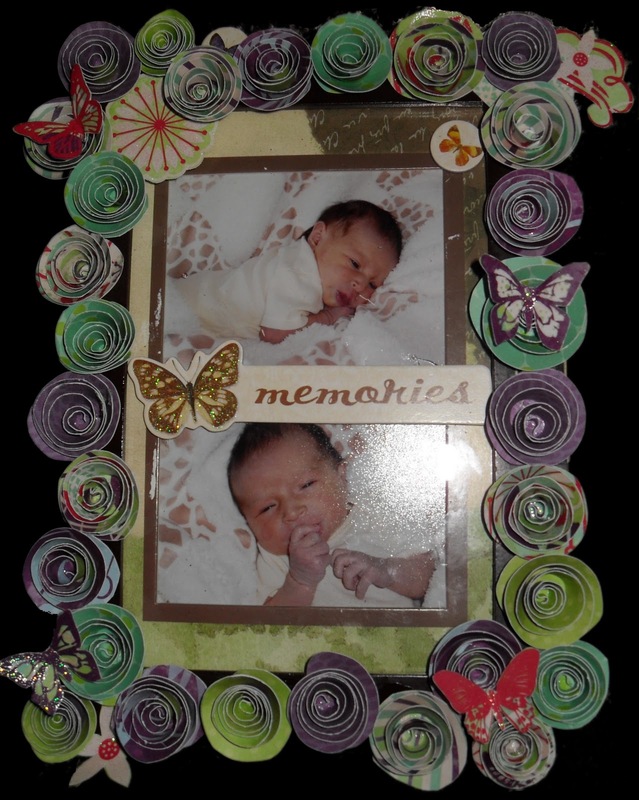 Here is a little Frame I decorated with several spiral flowers and a few cut outs. I will add a tutuorial after the weeked..still trying to get things ready for my daughters party this weekend. My niece not one of my children. I have been wanting to dress up the frame for some time. I love how it turned out, Monique. Great job! Simply Gorgeous!!! I love it!! Hi, Momo sent me. Beautiful frame, I love the rolled flowers! What a lovely frame to go with the adorable pictures. I am looking forward to your tutorial. I found you through Momo, isn't this nice of her to do this for us. So many wonderful blogs we would have missed. Great projects..Momo sent me, happy she did. Thanks for being my new follower .. now I am yours. Nice frame. Momo sent me. Visit my blog for a chance to win some blog candy. Gorgeous!! I love all the spiral flowers!! Create Me Pink sent me!! I am now a follower! Stop by my blog when you get a chance! This looks gorgeous! Can't wait for the tutorial :) Create Me Pink sent me! Love this picture frame. Gorgeous.. Challenge! Mini Book-Reopened Due May 15th!